(3) 6000# Torsion Axles w/12” Electric Brakes, LT235/85R16 LRG Goodyear Tires, Aluminum Wheels, .050Aluminum Epoxy Sides, Marine Grade Plywood Floor, Beaver Tail, Large Stainless Nose, 24” Stainless stone Guard, 4000# Gemini Steel Lift w/Full Floor, (8) D-Ring Tie Downs, 12V Roof Vent, (2) 12V Dome Lights, 4-12V 18” Florescent Lights, (4) 48” 110V Florescent Lights, 12V Battery System, 110V Wire Package w/30 AMP Breaker Box. 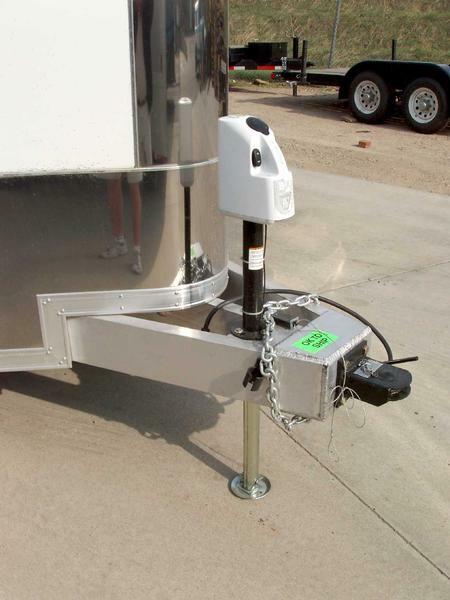 AC/DC Converter, 3,500 # 12V A-Frame Tongue Jack, All L.E.D. 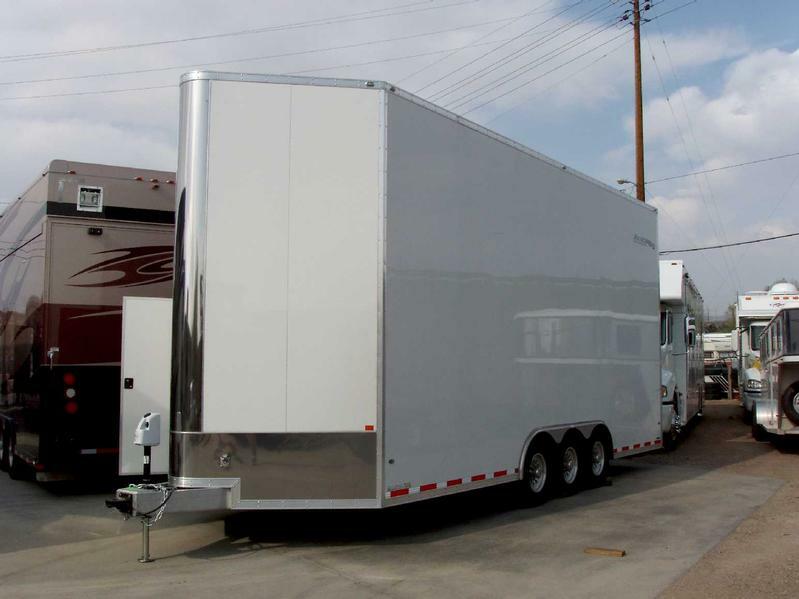 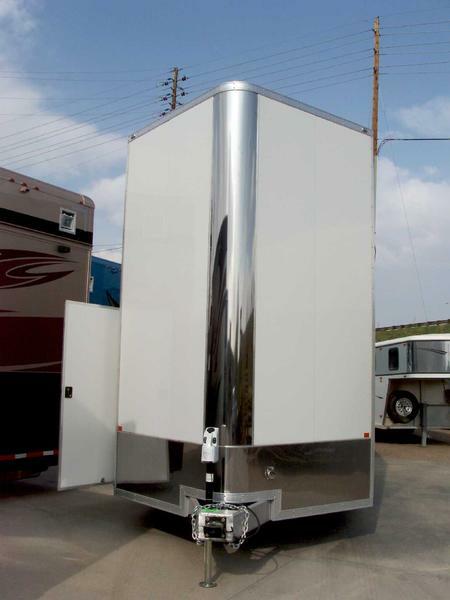 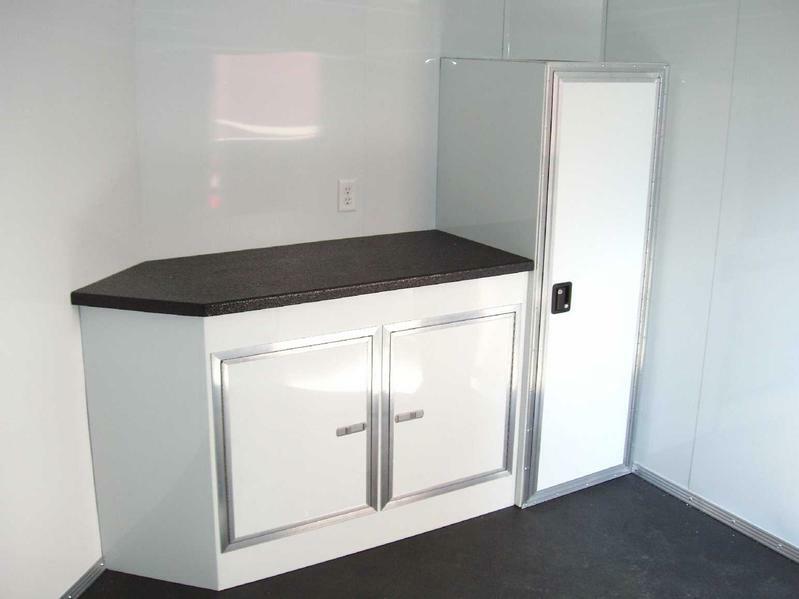 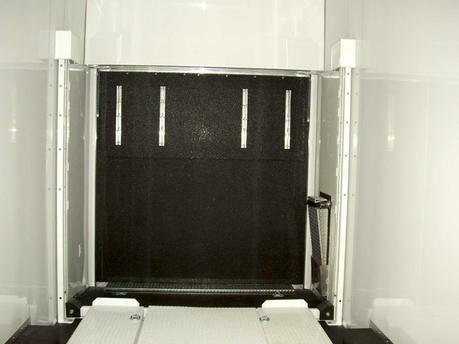 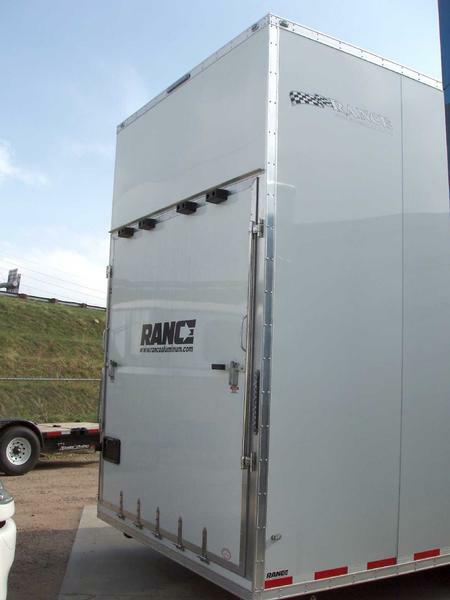 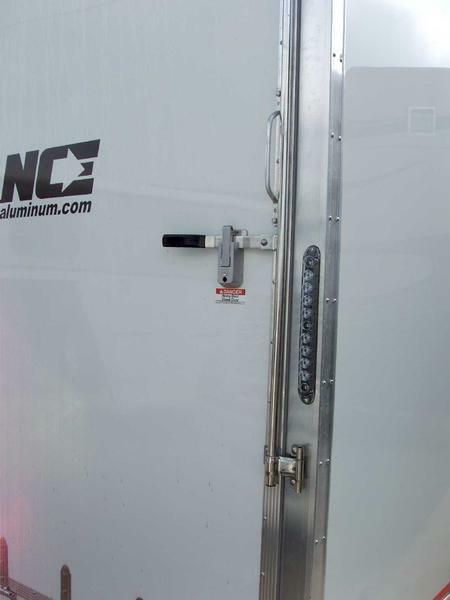 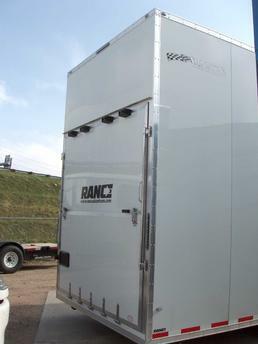 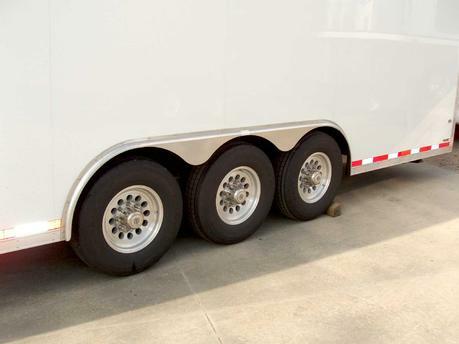 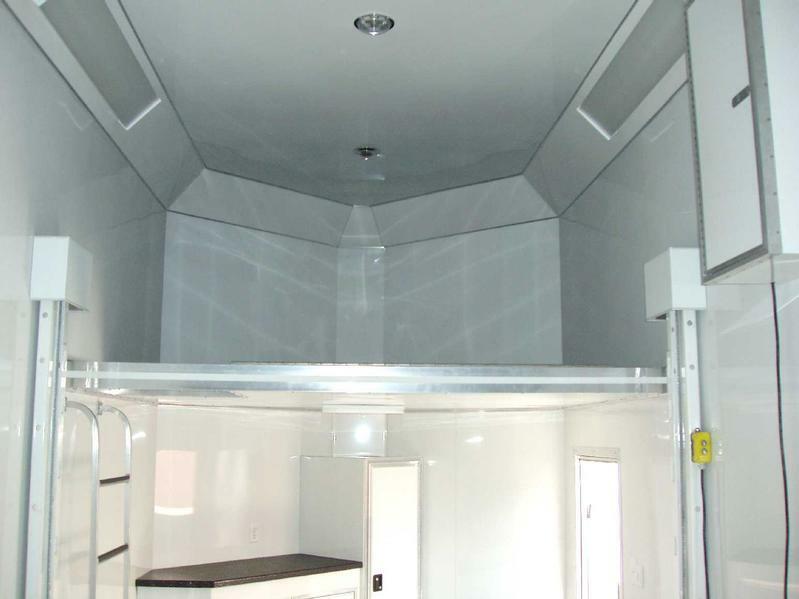 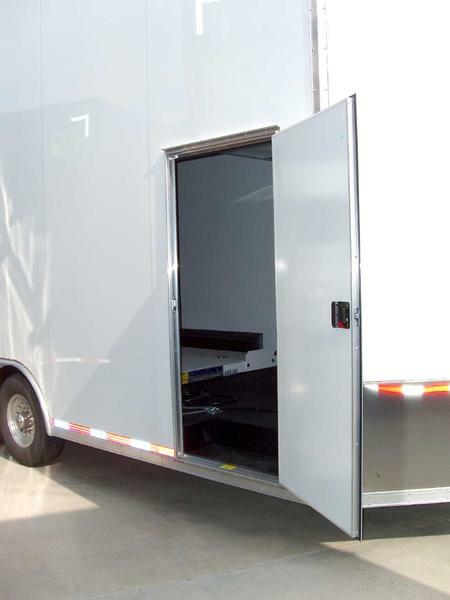 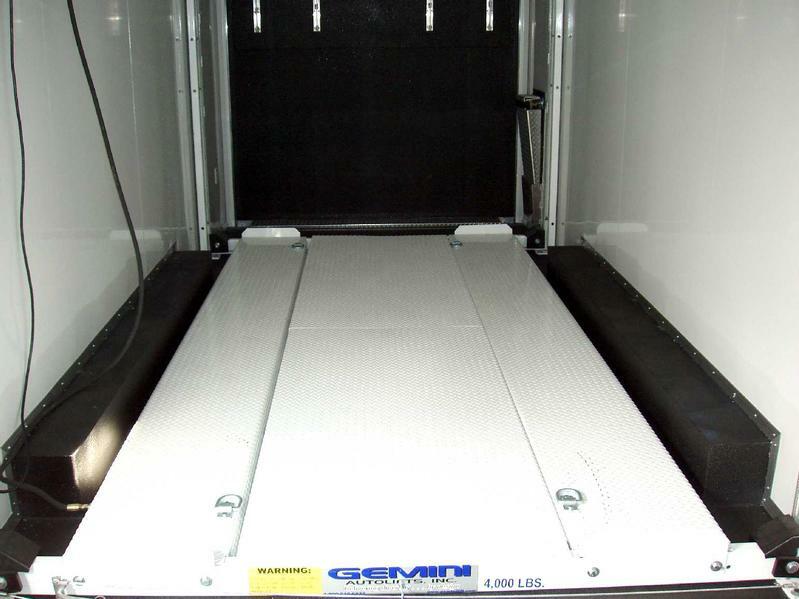 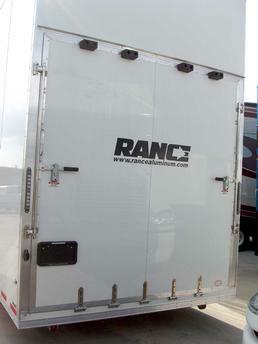 Lights & Fuse Panel, Stainless Rear Cam Locks, (2) 5,000# Rear Scissor Jacks, (2) Rear Caster Wheels, .030 White Aluminum Sides & Ceiling, 32” X 72” Side Access Door w/ Alum. 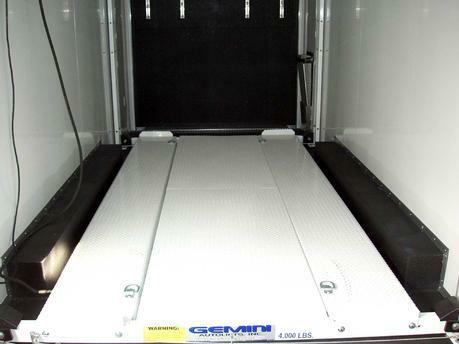 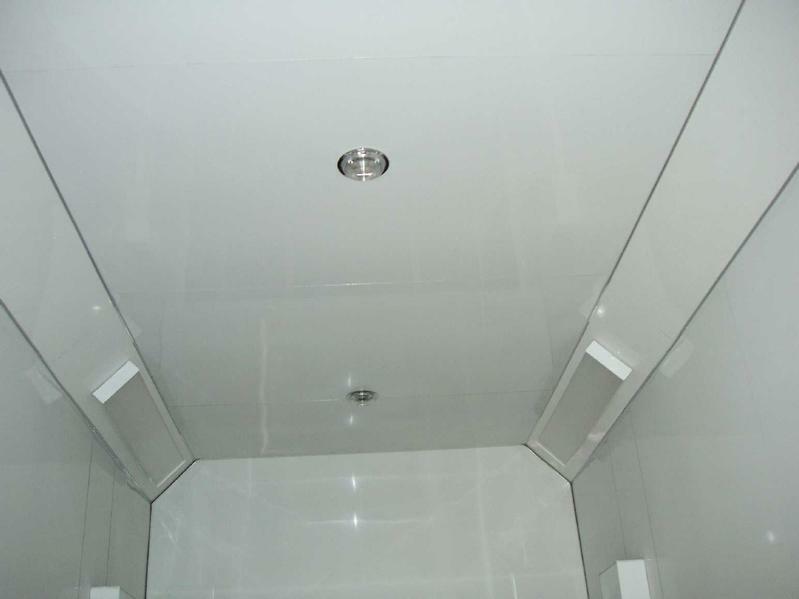 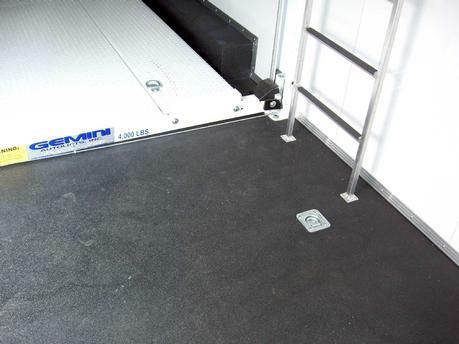 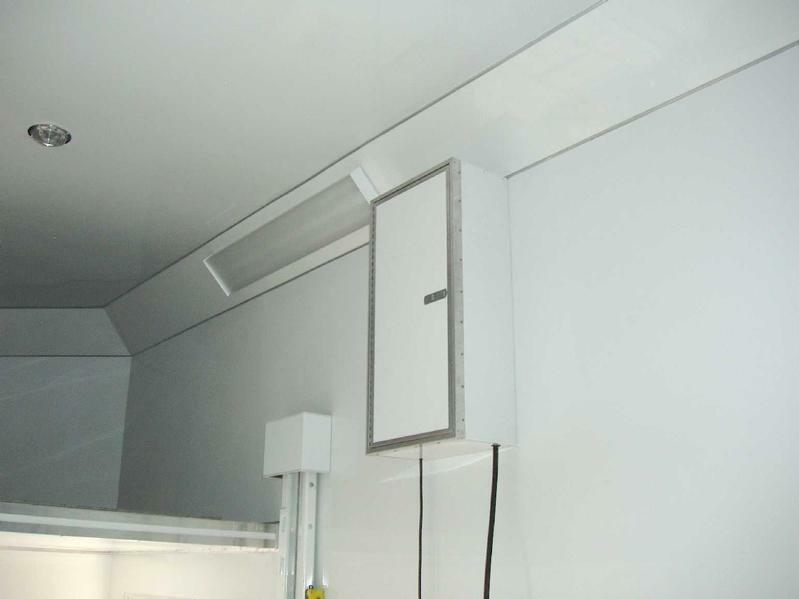 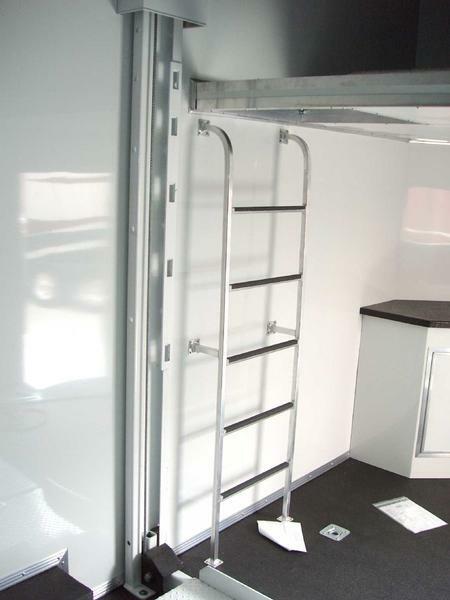 Slide Out Step, Interior height is 11' 4", Exterior height is 13' 5".